Website redesign won’t cost a penny or two, for sure. Yet people or firms that own a website must understand that the money they’ll be pouring in for this initiative is an investment, and not a waste of resources. Redesigning a website should increase its hits, make its visitors buy a product or service it is selling, and consequently , increase the earnings of the website owner. That said, website owners who are planning to have their online presence redesigned should be familiar with four factors that can affect website redesign costs. These include the website redesign company in charge of the project, the processes required, the functionalities integrated in the website, and the person or team developing content. The experience and reputation of the website redesign company that is in charge of a website rebuilding process can have a huge impact on the web redesign costs. Like in any other project, the more experienced or reputable a web redesign company is the more likely that it would charge higher fees. Of course, getting the services of a reputable web redesign company has its pros. The most obvious advantage is that you can be assured of the quality of work. Web redesign is not a simple initiative that would take a few days. Depending on the scope of work and the number of webpages to be optimized, you are looking at weeks-worth of work. It involves processes like goal setting, brainstorming, strategy, design testing and developing, and much more. These processes may necessitate meetings, implementations, feedback, and revisions. 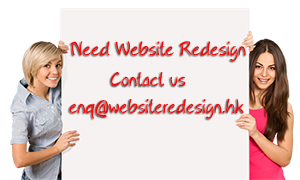 The costs of the web redesign would also depend on the various functionalities to be integrated. In case you would like more advanced functions like in-depth calendar and forums, be prepared to shell out more money. The same goes for other functions like e-commerce and other third-party systems. Budget-conscious website owners can settle for less complicated features like setting up of a mailing list or inclusion of a social media manager. These features are not as advanced but still effective in harnessing guest interaction. Content creation may just be one of the most time-consuming aspects of website redesign project. Content development not only pertains to preparation of an article or text for the website but also choosing the appropriate photos and videos. Content development includes copywriting. Writing for websites is different from writing for newspapers or other media. Copywriters need to convey a short but effective message. The script should be short yet engaging and actionable. Chances are, the website redesign company you are to hire has an assigned copywriter. If there’s none, ask for one who can help you write the content.